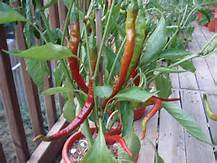 Few may never believe but cayenne, yes that 10x hotter than peppers, is not only favorite for farmers and gardeners because it’s easy to grow and useful in many of our spicy dishes, but, these small ‘hot’ plant gives out many health benefits. Capsicum or cayenne pepper has therapeutic properties that medical practitioners and researchers around the world use as an alternative medicine. Most important health benefit of cayenne is that it helps kill cancer cells that attacks the prostate, lungs and pancreas. It is effective to the capillaries, veins, arteries that helps blood circulation to flow normally. 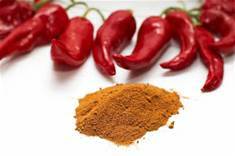 Cayenne helps eliminate bad LDL cholesterol that may trigger heart diseases. 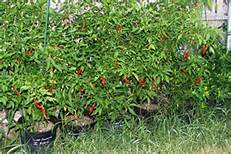 Cayenne have an elongated shape and can grow 24 to 3 inches tall. It is very abundant in tropical area and are native to South America. Cayenne doesn’t have that spicy aroma. How can I start growing cayenne? Here are the step by step planting of cayenne that may help new gardeners to start having a cayenne and other pepper plants. Preparing the seeds to plant – seasoned farmers and gardeners always start with choosing healthy seed and will prepare it indoors for 10-12 weeks before its is ready to be blanted in the soil. Planting the seeds – in a 1/4 inch deep soil in the pot or tray, plant the seeds and keep them warm and moist. It takes 2 weeks for the seeds to germinate. Sprout began to be visible – give the right amount of bright light it needed and stil keep it warm and moist. Preparing your garden for your cayenne plant – with the right mix of compost or organic fertilizer, plant the sprout in a deeply tilled soil with full sun exposure and warm temperature. Creat ridges – with the slight ridge on the grounds, this procedure will improve the drainage. Cayene plant needs plenty of water. Covering the roots – with an 18 inches apart spacing, the roots must be covered properly with soil. Mulch with organic material. Transplant the cayenne into pots – for beginners, this is a must. This technique may help you to understand more of growing cayenne. With the same depth when you planted the seeds, transplant your cayenne into pots or other garden container you want to use and always keep in an area where it can receive more sunlight. A 12-inch pot is best for one cayenne plant to be transplanted. Fertilization – organic fertilizer is best to use to kee your cayenne or any other plant to make it healthy. Do not use fertilzers with high in nitrogen cause it might create heavy foliage. Keep it moist – though cayenne needs much sunlight, it may dry out the soil and cayenne also needs lots of water. Always keep it moist but not much as t drown your plant. 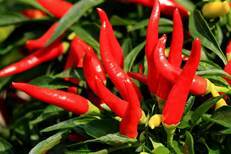 Remove pest infested fruits – cayenne attracts few insects t destroy its foliage and fruits. But if you checked that there are insect or pests in your lant, it may develop fungus until it becomes rotten. Dispose the infected fruit at once so not to affect other fruits. Harvesting your cayenne plant - it is easy to know if your cayenne is ready to be harvested. Once you see it ripe, the right color (well it depends some prefer it green and others are willing to wait til it turns to red in color), you are ready to harvest your cayenne. A healthy cayenne plant will continue to grow more cayenne throughout the year.